Her name is Karen (eh yeah, i still don’t know her true name yet till now). A 16 years old NICE GIRL Project’s enka singer. As far as i know, she just debuted her first single “Naku na Okamechan” in September 23 after she completed her challenge to sell 1000 copies of her indies single by her self like a street performer. At least Tsunku still have an enka singer after Maeda Yuki graduated from Hello!Project along with all elder club in early in this year. The most shocking point is She also bet her skill and luck in 2005 & 2006 Morning Musume Audition, but she didn’t make it. 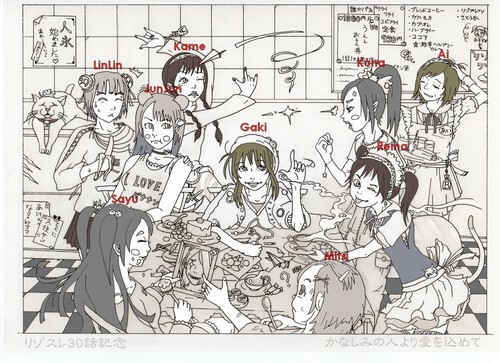 It’s good that Tsunku realized her talent and draw her to his sister project after Hello!Project, NICE GIRL Project. Watch this video, because everyone should know the fact that she can sing very well. I admit that her vocal is awesome even i don’t really enjoy enka music. I’m surprised that her age is as same as ogamana’s age. Three vocal goddess (my version) that penetrated my ears and strike trough my heart. Lin Lin – Aozora ga Itsumade mo Tsuzuku You na Mirai de Are! If the three of them combined together in one dream team. It’ll be perfect and i can leave Buono! fandom peacefully. 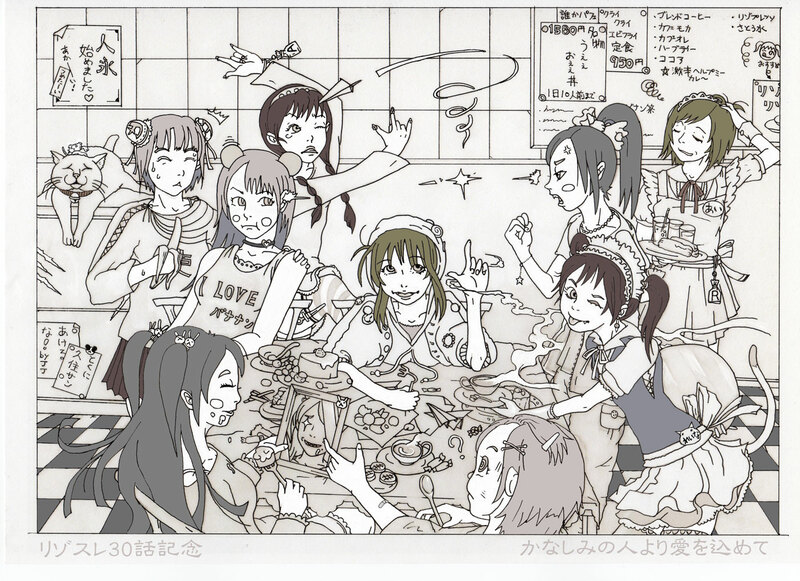 Today, someone post a fanart of morning musume at iramoni’s site. I’m not really sure which one is Gaki or Kame.